Roots of Suresh Indu Lasers Pvt. Ltd., the client-centric Manufacturer and Exporter firm of modern day Laser Cutting and Engraving Machine are dated back to the year 1990. We are leveraging the strong field expertise of our R&;D specialists to produce forward a broad variety of next generation products, such as Laser Cutting Machine, Laser Marking Machine, Laser Welding Machine, CNC Router and more. Our purpose is to bring engraving, marking and cutting systems, based on lasers and allied technology to a broad array of clients and verticals. We’ve developed our product line to offer the latest marking and cutting systems that combine the most advanced Laser source technology. Our line of products carries a statement of our operational ability, which can also be seen in the products traits of industry proven designs, sturdy construction, excellent finish, and better resistance to corrosion, ease of installation and performance and precision assurance. We are providing the demanding client requirements for diverse industrial sectors, and our consistent focus to suppose the client needs to earn us the skill in generating a methodical and client directed strategy. The innovative design and exceptional functionality of our products offer 100% life ratings that provide to our hunt of distinction. Moreover, we continually modernize our infrastructure to include the range of improvements in our research attempts. In addition, our idea of generating unmatched value for our esteemed clients furnishes us to deliver verified quality products within the accepted time frame. Owing to these prospects, we export our products to countries such as Germany, Dubai, New Zealand and UK. Our leader and mentor, founder, Dr. Suresh Shah, Laser Physicist is the fortitude of Suresh Indu Lasers Pvt Ltd – he has created and produced Laser systems for different industrial and research applications also. The SIL dedication in developing strong relationships with customers, distributors, vendors and employees is our business foundation. We export our products in almost countries of the world. SIL, India is a leading manufacturer of equipment and systems for laser cutting, laser welding, laser marking, laser engraving, laser micro machining and laser cladding. The company provides products for a wide range of markets i.e, Automotive, Machine Tools, Metal Forming, Jewelry, Construction, Commercial Vehicle, Railways, Medical device, Lithium Ion battery, solar industries, Electronics & Electrical and various industries. 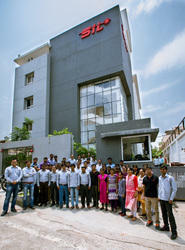 Since 1990, we are committed to Design, Manufacture and integrate the highest-quality of Laser systems in India. Knowing there is no one solution that fits all, we strive to provide customers with innovative technology and high quality manufacturing that meet their specific application, process and productivity. SIL is an ISO 9001-2015 & CE certified Company. Dr Suresh. 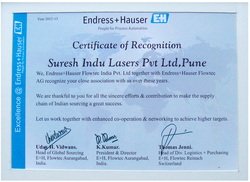 T. Shah Founder of Suresh Indu Lasers Pvt. Ltd, has Designed, Developed and Produced Various Lasers Systems For Industrial and Research Applications, Since 1975. He has developed various types of Laser source and optics , He has played a major role in manufacturing and promoting Laser systems, laser source and Laser Optics at affordable price for Indian Industry. In Past 29 years he has developed various types of Laser systems Such As: Co2 Laser Engraving & Cutting Machines, CNC Fiber Laser Cutting Machines, Pulsed YAG Laser Micro Cutting Machines, Co2 Laser Marking Machine, Fiber Laser Marking Machine, UV Laser Marking Machine, Fiber Laser Welding Machine, Pulsed YAG Laser Welding Machine, High Power Diode Cladding Machine, Pico Second Laser Micro Machining. Machines. 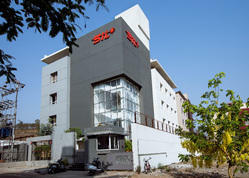 SIL is a pioneering Indian Laser Machine manufacturer with over 29 years experience and thousands of satisfied customers. As devout technocrats, we have a rich pedigree in science and technology and a proven proficiency in design, research & development and early adoption of the latest that science has to offer. SIL is dedicated towards building strong relationships with all stakeholders, customers, distributors, vendors and employees. To our customers we offer a near endless stream of support. It is our goal to keep our customers up and running. We have a huge network of talented suppliers and distributors. SIL is dedicated towards building strong relationships with all stakeholders, customers, distributors, vendors and employees. To our customers we offer a near endless stream of support. It is our goal to keep our customers up and running. The success of any organization is believed to be with its vast manufacturing department that it has, which is incorporated with modern technologies. Keeping this in mind we have set-up a sophisticated infrastructure department that assists our team to enhance the rate of production along with the quality of offered products. In addition to this, the infrastructure facility is well-segmented into assorted departments to ease the functioning & completion of whole business procedure in hassle free way. Furthermore, these departments work in close association in order to bring the desired product and meet patrons’ specifications.